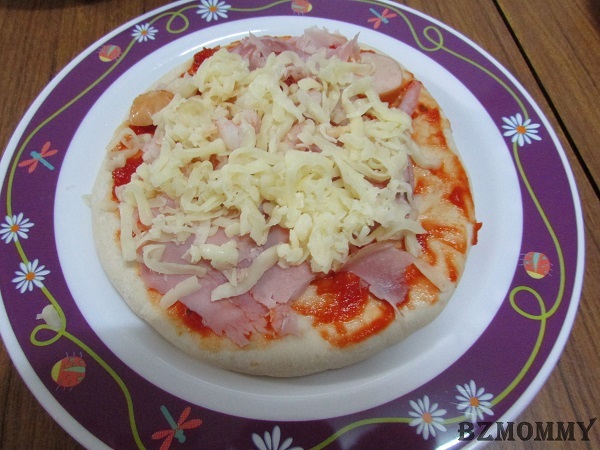 How about making some pizza at home? 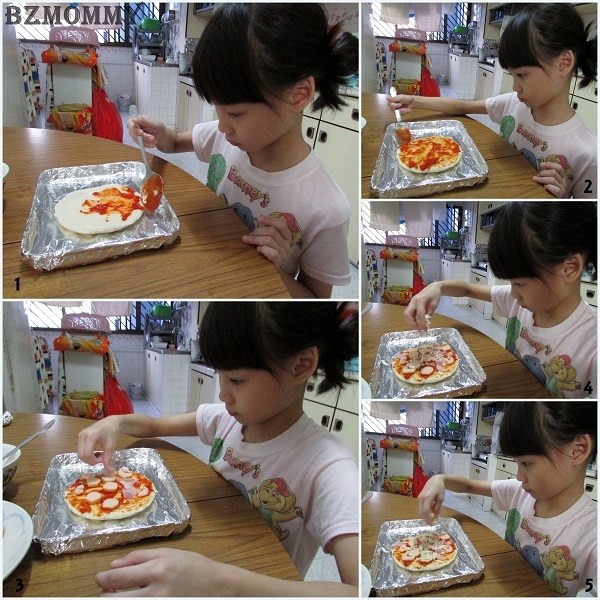 Not only it is a quick and easy meal, the kids can be involved in the making process too! 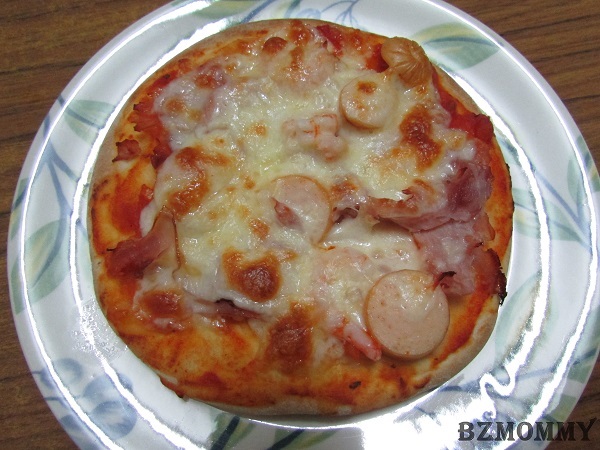 Kitchen Fun Time #3 - Pizza Pizza! 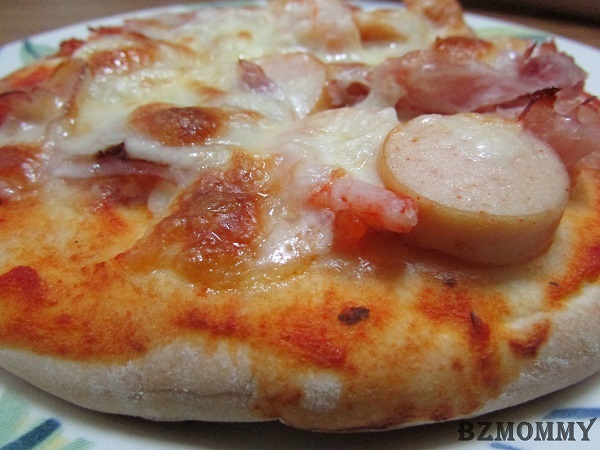 Sausages / Ham / Prawns / Pineapples / Tomatoes - Your own creation! Arrange the ingredients on the pita (show your creativity!) 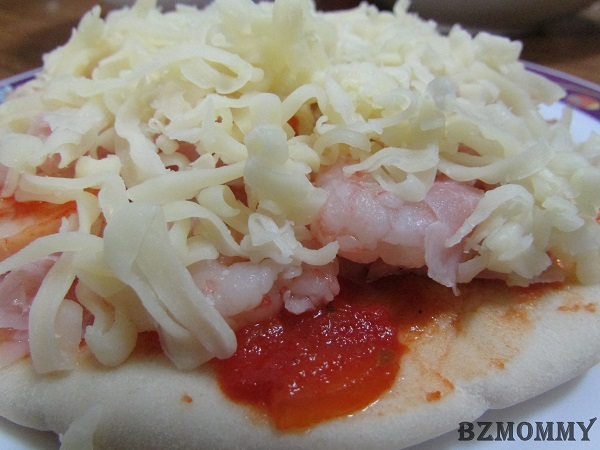 and add the Mozzarella Cheese on top. 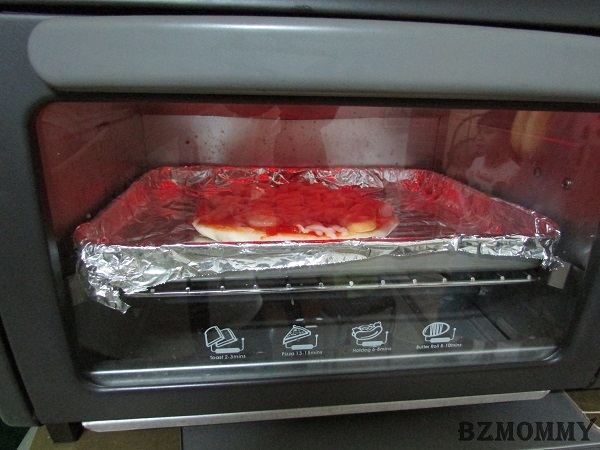 Toast or Bake the pizza until the cheese has melted. Simple, right? Dawn did her own decoration and enjoyed the process very much! 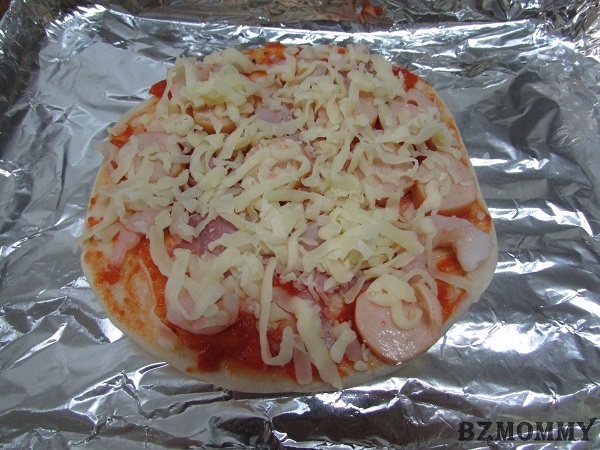 Dawn’s pizza before putting it into the toaster oven. Eva can easily do the same too! She is only 2 and a half years old but she can follow instructions quite well too. 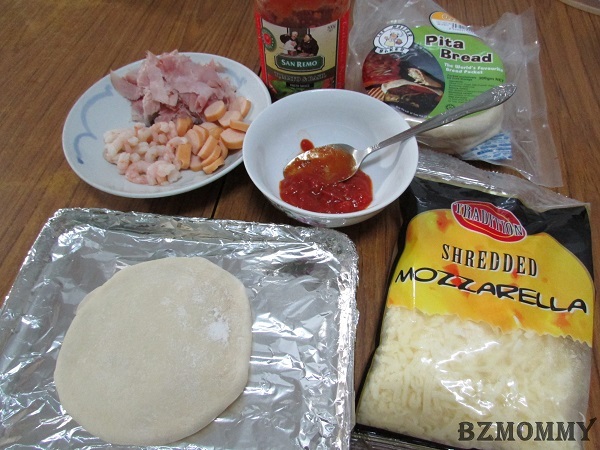 And this is Eva’s pizza before the bake.. Try it! It’s easy and an engaging activity with the children. Do be careful that the kids don’t go too near the oven though. On a separate day, we did some Margherita Pizza. We did without the herbs as we did not have them at home. 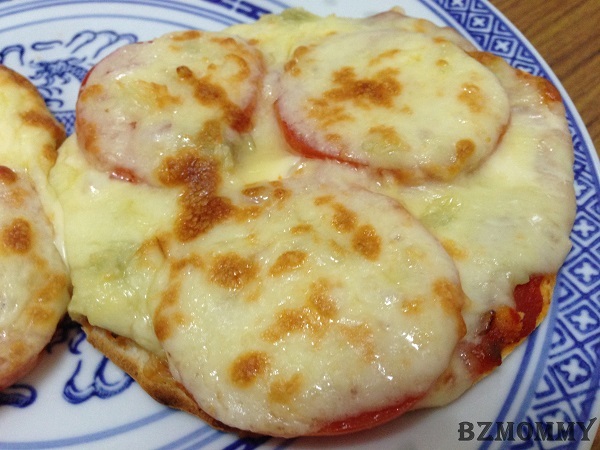 Just some fresh tomatoes, sliced cheddar cheese and Mozarella cheese. 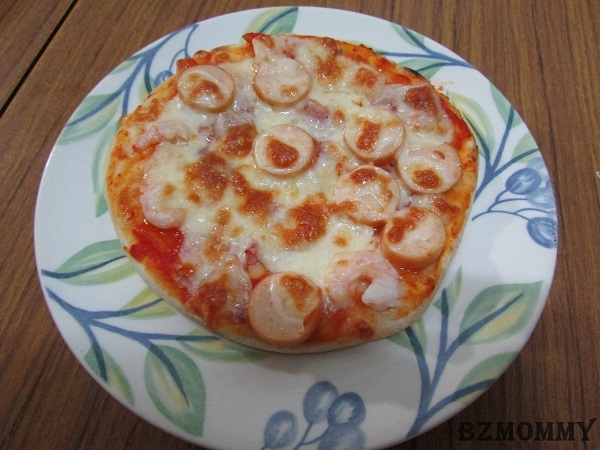 This entry was posted in BZ Kitchen, Child Friendly Recipes and tagged Kids-Friendly Activities, Kitchen Fun Time, Recipes.